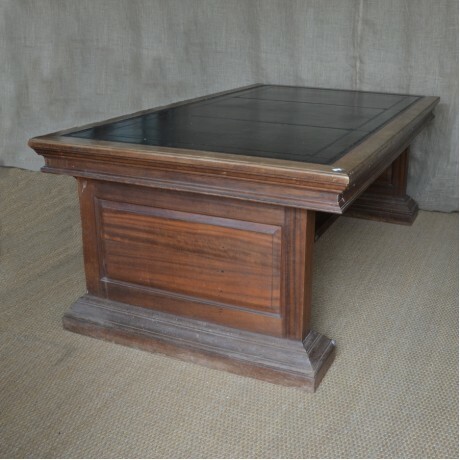 A massive mahogany and oak Library table or desk from the 1920's with a later, but equally tasteful, black leather top. This is a striking bit of furniture from Exeter University, reputedly. It breaks down to the two uprights, foot stretcher/rest and top so although a huge piece of furniture , it is manageable!